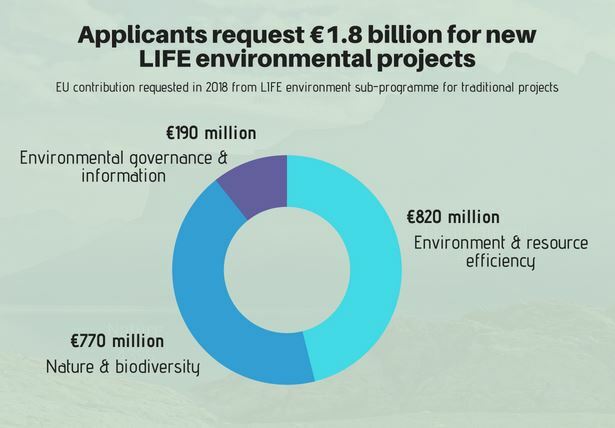 Applicants have submitted more than 1000 concept notes for traditional LIFE projects under the Environment sub-programme. The deadline for applications closed last week. Some 54% of the concept notes are for Environment & Resource Efficiency projects, 30% for Nature & Biodiversity and the remaining 16% for the Environmental Governance & Information (GIE) strand. Concept notes have come from organisations in all 28 EU Member States.